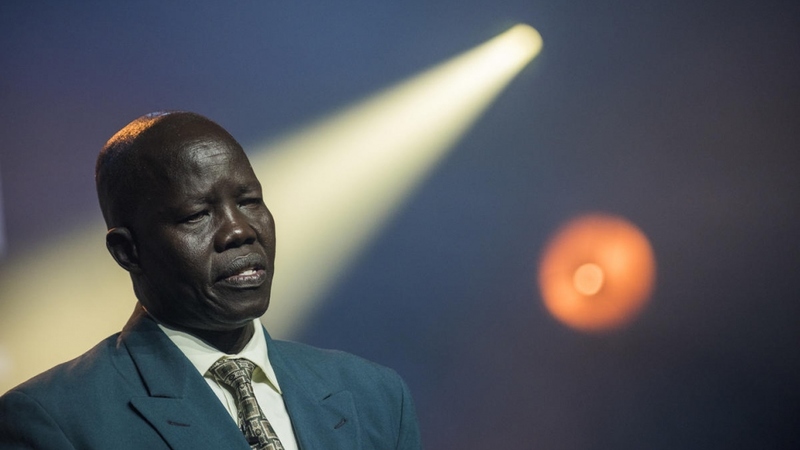 The South Sudanese doctor, Evan Atar Adaha, was chosen for his 20-year commitment to providing medical services to people forced to flee conflict and persecution in Sudan and South Sudan, as well as to the communities that welcome them. Dr. Atar runs the only functional hospital in Upper Nile State, an area larger than Ireland. Located in the town of Bunj, in Maban County, it serves more than 200,000 people, including 144,000 refugees from Sudan. The event was hosted by South African actress and advocate for UNHCR’s LuQuLuQu campaign Nomzamo Mbatha. She introduced the evening’s performers including Indian sitar player Anoushka Shankar, Syrian dancer and choreographer Ahmad Joudeh and Norwegian singer Sigrid. British radio and television presenter Anita Rani hosted a Facebook Live stream of the ceremony on the UNHCR Facebook page. This entry was posted on	October 2, 2018 at 14:28	and is filed under awards. Groots Hans, want deze arts heeft heel veel doorgemaakt en was geweldig moedig en volhardend. Dank.